To administer general anesthesia in the office, Oral & Maxillofacial Surgeons are the only surgical specialists who undergo 4 to 12 months of rigorous hospital based anesthesia training. Qualified surgeons will then undergo an in office evaluation by a state board appointed examiner. The examiner observes an actual surgical procedure during which general anesthesia is administered to the patient. The examiner also inspects all monitoring devices and emergency equipment and tests the doctor and the surgical staff on anesthesia related emergencies. If the examiner reports successful completion of the evaluation process, the state board will issue the doctor a license to perform general anesthesia. The license is renewable every two years if the doctor maintains the required amount of continuing education units related to anesthesia. Again, when it comes to anesthesia, our first priority is the patient’s comfort and safety. If you have any concerns regarding the type of anesthesia that will be administered during your surgical procedure, please do not hesitate to discuss your concerns with your doctor at the time of your consultation. General Anesthesia is available for all types of Oral & Facial Surgical procedures. Most often patients chose general anesthesia depending on their level of anxiety. Most facial cosmetic surgeries such as rhinoplasty (nose job), face lift, blepharoplasty, and liposuction are safely performed under general anesthesia in the office setting, thus eliminating prohibitive costs of having the procedure in the hospital. Medications are administered through an intravenous (I.V) line. The patient falls asleep and is completely unaware of the procedure being performed. Medications that are commonly administered for general anesthesia are Fentanyl (to decrease pain), Versed (relaxation & amnesia), Ketamine (Sedation), Diprivan (General Anesthetic). In addition, you may also be administered with medications to help with Nausea & vomiting and control salivary secretions. Intravenous sedation or “twilight sleep” helps you to be comfortable and calm when undergoing dental procedures. 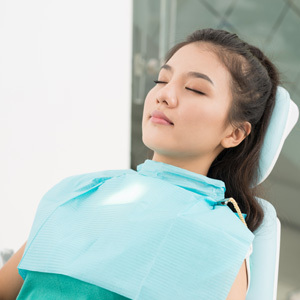 Intravenous sedation or “IV sedation” (twilight sedation) is designed to better enable you to undergo your dental procedures while you are very relaxed; it will enable you to tolerate as well as not remember those procedures that may be very uncomfortable for you. IV sedation will essentially help alleviate the anxiety associated with your treatment. You may not always be asleep but you will be comfortable, calm and relaxed, drifting in and out of sleep – a “twilight sleep”. The goal of IV sedation is to use as little medication as possible to get the treatment completed. It is very safe. At any time, an antidote can be administered to reverse the effects of medications if necessary. If you choose the option of intravenous sedation your IV sedation/general anesthesia is administered and monitored by the doctor therefore eliminating the costly expense of having your treatment carried out in an operating room or same day surgical facility. A local anesthetic (such as lidocaine) is administered in the surgical area. The patient will be completely awake. During extractions, patients do not feel pain but they feel lot of pressure. Some patients perceive pressure as pain and may be uncomfortable during the procedure. Local anesthesia will however be administered with all other methods of anesthesia described above.